In the United States, you are allowed to choose a trial by jury or trial by judge. If you’re facing a traffic ticket offense, it would be beneficial to choose a trial by jury but only if you’re absolutely not guilty. It’s your prerogative whether you will defend yourself without an attorney or not but be aware that the state will always hire the best prosecution lawyer against you. You either need to be really good at presenting your case or you will really need the help of an expert traffic law attorney in order to win a trial by jury. Here is a list of what really happens in a traffic ticket jury trial. Jury selection. 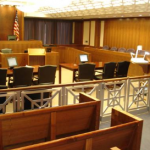 In a jury trial, you are obligated to participate in the choosing of jurors. Trial begins. This is the part where you throw your opening statements. Although some would skip this part, it would be a good idea to use this part early to persuade the jury to side on you. Establish a statement that will make them feel like they too are victims or would be victims of unfair traffic court systems. Prosecution team will give testimonies. The police officer that gave you the ticket will be called to make a testimony against your offense. Your chance to cross-examine. This is another chance to get the jury to see that you really have stronger case than the prosecution. Your testimony. In case you skipped the opening statement part, be sure that you will cover this part with much diligence, as it deserves, that’s if you really want to prove your innocence against an unfair call. The prosecution’s cross-examination. This is the part where the prosecution will grill you to prove you’re guilty. Just make sure you answer politely regardless of how much you’re provoked. Remember that the jury will jot side an obnoxious, disrespectful ticket violator. Closing arguments. This is the part where both the defendant and the prosecutor will pitch a closing argument to convince the jury who to side on. This is your last chance to prove you are innocent; that even though you have been served a traffic ticket by a police officer, it does not mean that he or she is infallible. Prepare jury instructions. This is only absolutely necessary when you have a hostile judge. However, writing a jury instruction is a very delicate manner, which is why you need to hire a lawyer. Judge instructs the jury. This is the part where the jury will start to deliberate and afterwards announce their verdict. In case you have been proven guilty, appealing your case makes little to no sense. That’s because the state is absolute on its ruling. They will only raise your case for an appeal if and only if the judge has made a huge and obvious mistake when he or she convicted you; all the more reason why you need to get a lawyer’s help for your traffic ticket debacle.